that seek to destroy us be cast out. And may You grant us Your peace. In Jesus’ name, Amen. O Lord our Heavenly Father, high and mighty King of kings, and Lord of lords, who dost from thy throne behold all the dwellers on earth and reignest with power supreme and uncontrolled over all the Kingdoms, Empires and Governments; look down in mercy, we beseech Thee, on these our American States, who have fled to Thee from the rod of the oppressor and thrown themselves on Thy gracious protection, desiring to be henceforth dependent only on Thee. To Thee have they appealed for the righteousness of their cause; to Thee do they now look up for that countenance and support, which Thou alone canst give. Take them, therefore, Heavenly Father, under Thy nurturing care; give them wisdom in Council and valor in the field; defeat the malicious designs of our cruel adversaries; convince them of the unrighteousness of their Cause and if they persist in their sanguinary purposes, of own unerring justice, sounding in their hearts, constrain them to drop the weapons of war from their unnerved hands in the day of battle! Be Thou present, O God of wisdom, and direct the councils of this honorable assembly; enable them to settle things on the best and surest foundation. That the scene of blood may be speedily closed; that order, harmony and peace may be effectually restored, and truth and justice, religion and piety, prevail and flourish amongst the people. Preserve the health of their bodies and vigor of their minds; shower down on them and the millions they here represent, such temporal blessings as Thou seest expedient for them in this world and crown them with everlasting glory in the world to come. All this we ask in the name and through the merits of Jesus Christ, Thy Son and our Savior. Father, we ask that You give us the courage to stand against the schemes of the devil. May we put on the whole armor of God and stand fearless before any attacker. 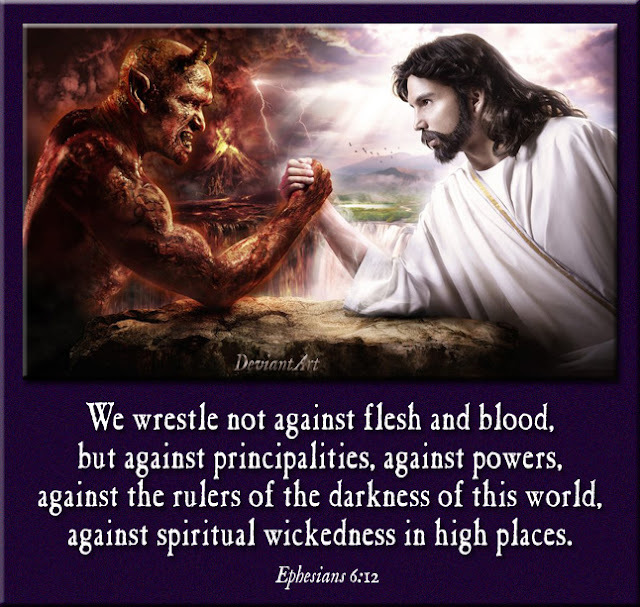 Our fight is not only on this earth with mere flesh and blood, but against spiritual wickedness in high places. We ask that You go to battle on our behalf, that you protect us from falling prey to those who would gloat at our destruction. We ask that You bind the evil one in these last days, and that we would once again come together in Christian unity, loving one another as Christ loved the church. In Jesus’ name, Amen. 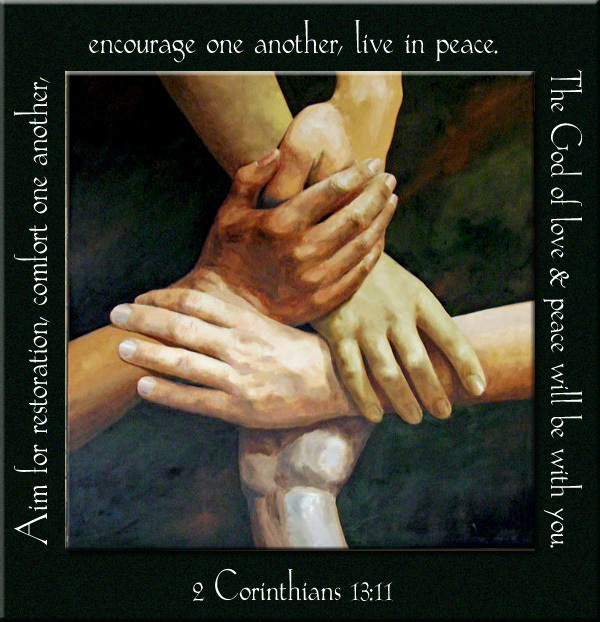 ﻿LORD, You establish peace for us; all that we accomplish you do for us. Plans are established by counsel; By wise counsel wage war. Dear God, war has become a necessary evil for our country today. We have seen Americans lose their lives on our home soil, a horrific tragedy played out in 9/11. Our false sense of security was shattered because we foolishly believed that we would never be harmed in our own country. We have lost dedicated men and women in foreign lands fighting wars we didn’t start, wars that have no definitive winner. 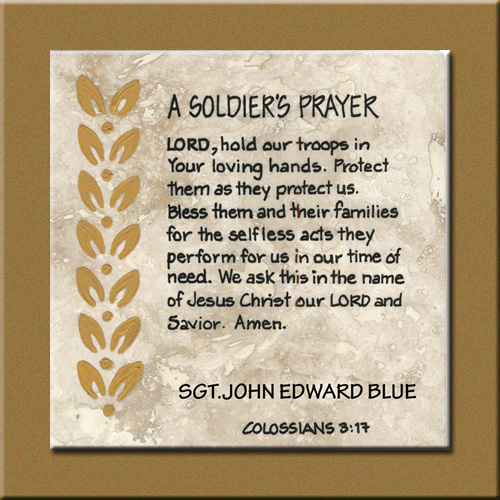 Lord, we pray that Your divine protection surround our soldiers that put their lives on the line every day to protect our freedom. Send Your angels out before them and stand as their rear guard. 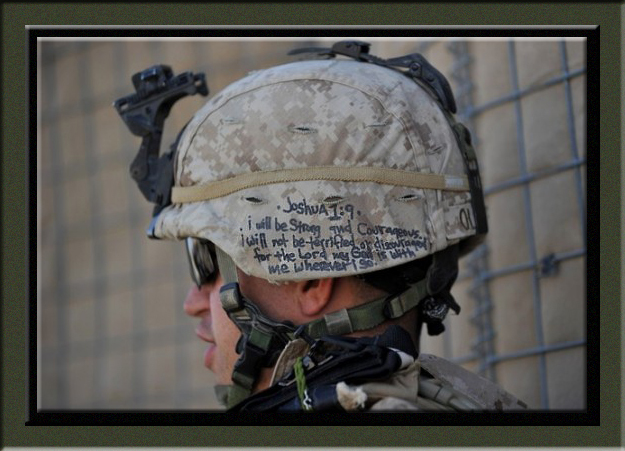 May these soldiers be richly blessed for their great sacrifice, and may You grant them supernatural wisdom and courage. The victory alone is Yours. In Jesus’ name, Amen. My son, fear the LORD and the king; do not associate with those given to change; for their calamity will rise suddenly, and who knows the ruin those two can bring? Heavenly Father, we cry out to you as a people desperately in need of Your mercy. Please forgive us for turning from You, for forsaking our time of prayer and fasting that invites the Holy Spirit to rule and reign in our lives. We need Your guidance for the very survival of our nation. 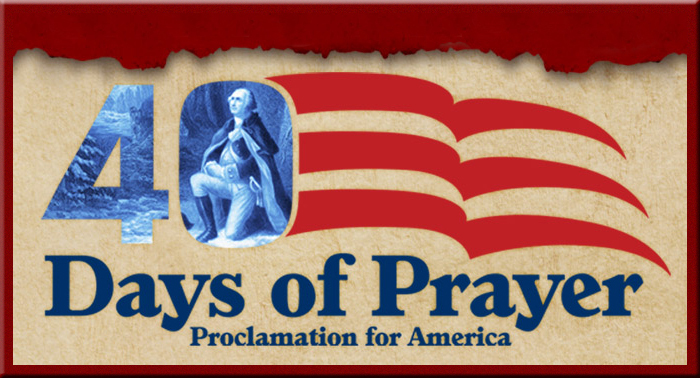 Forgive us for allowing those in power to ban days of public prayer. We ask that You would place righteous men of integrity in the various public offices found throughout our cities, states and country as a whole. We need men and women who serve You with their whole hearts, never giving in to selfish desires or peer pressure. 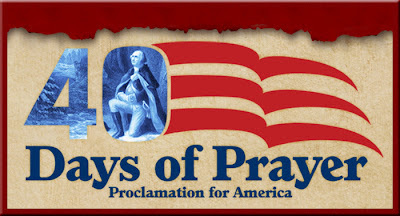 May we once again represent the Christian values that founded America. May we return to a system that seeks for Your approval, not the approval of foreign countries and dictators. 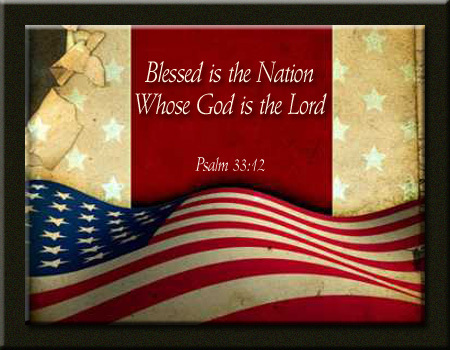 And may America once again prosper under the sheltering wing of Almighty God. Amen. 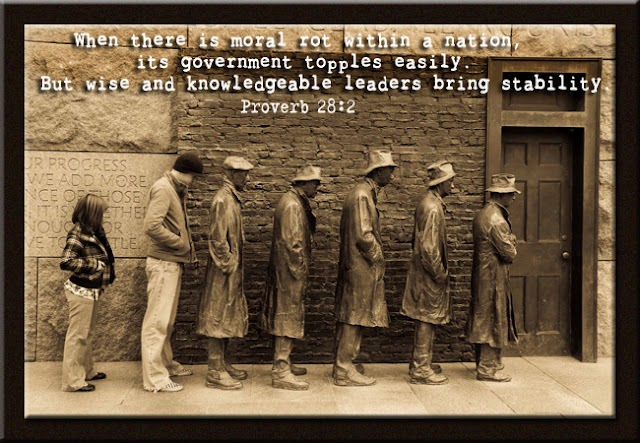 Father, we have allowed spiritual darkness to overtake our nation while we sat idly by. Everywhere we turn, there is discord and confusion. We have given the enemy free reign to attack us in our homes, in our schools and in our places of business. 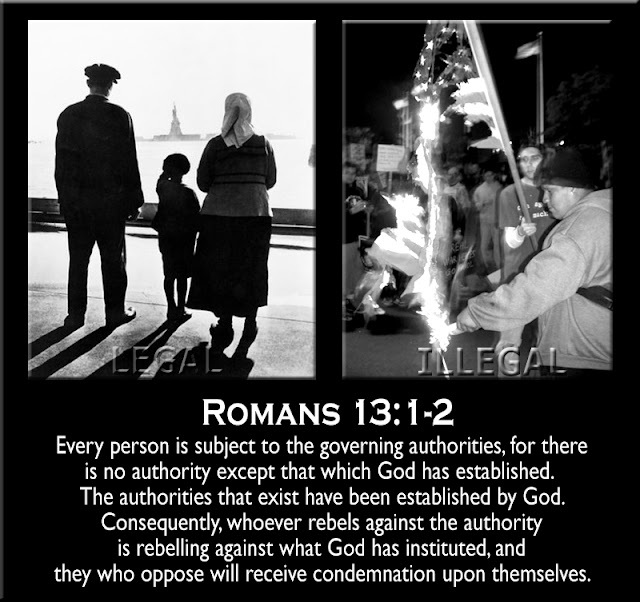 We have allowed the worship of other gods and the free expression of other religions to infiltrate these United States. We have forgotten You, oh God. We ask that You forgive us for our foolishness, and heal our lands; not that we deserve it, but because we serve a merciful God. Make us a land full of servants living in fear of You and only You. May our pulpits once again be filled with Godly men called to action. May we seek out that which is good and abstain from that which is destructive. We are called to meditate on Your Word day and night. 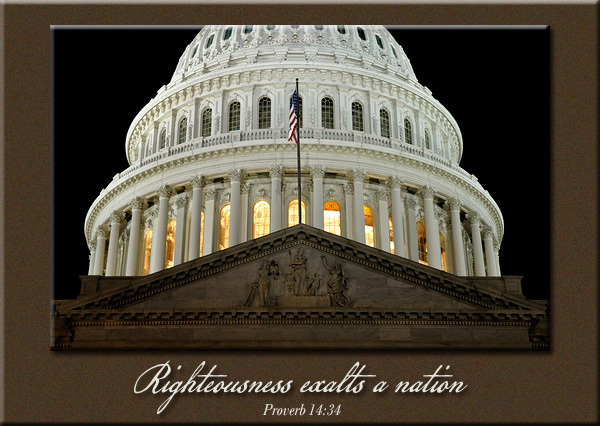 As we return to a praying nation, may the sacred Scriptures once again fill our hallways, and return us to “one nation, under God, indivisible, with justice and liberty for all.” Amen. As I gaze towards heaven, Lord, I see you. As you gaze towards this earth, you see me. You see all the nations of the world. 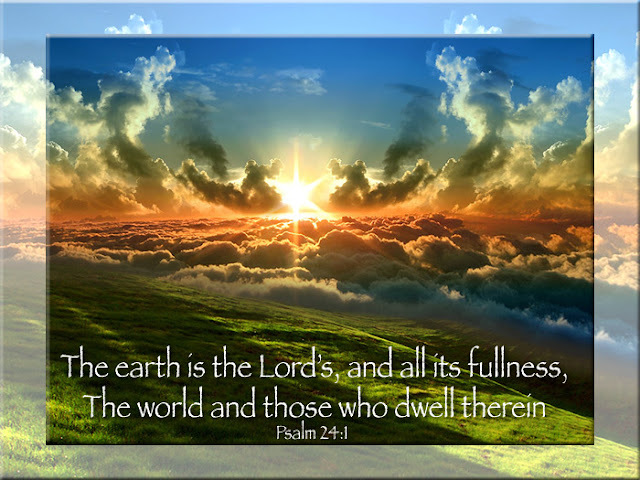 Lord, we must consider the future of America, the future of our children and grandchildren. When the righteous man is silent or behaves like the wicked, the next generation can only live in destruction and disgrace. We know that nothing is impossible with You, oh Lord, and we ask that You would forgive us and help us take our country back, to restore it to the great nation it once was. May our children come to know the America that our grandparents enjoyed. As we think of our pending national elections, may we not forget that the local elections are also of great importance to the strength of our country. What we build on the local level affects our cities, our states and indeed our nation. At this point in our history, we are no longer a truly united body of states. May Your love once again unite us. The victory alone is Yours, and we humbly ask that You go before us to pave the way for a bright future for those we love most, our precious children. We ask this in Jesus’ name, Amen. 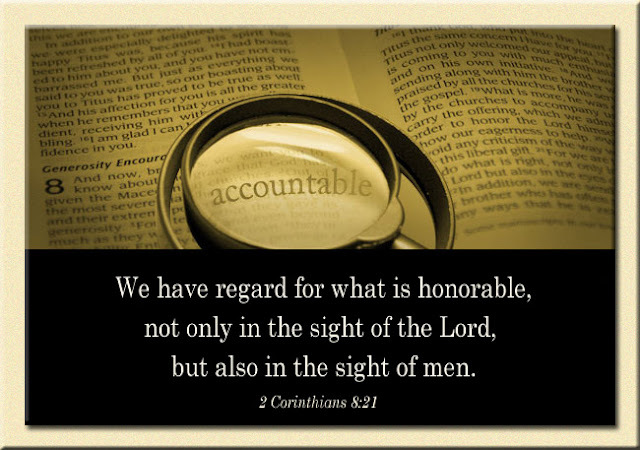 …be blameless, as a steward of God, … hospitable, a lover of what is good, sober-minded, just, holy, self-controlled, holding fast the faithful word as he has been taught, that he may be able, by sound doctrine, both to exhort and convict those who contradict. Lord, You are always just, merciful, loving and wise. Your Word says that You are the same yesterday, today and forever. You are unchanging and Your mercy is renewed for us each and every morning. Your love for us never fails. But we have failed You, and ask for Your forgiveness. We have not been steadfast in our choices, always making the extra effort to stand for what is right and pure. May we live according to the example You have sent in Your Word. 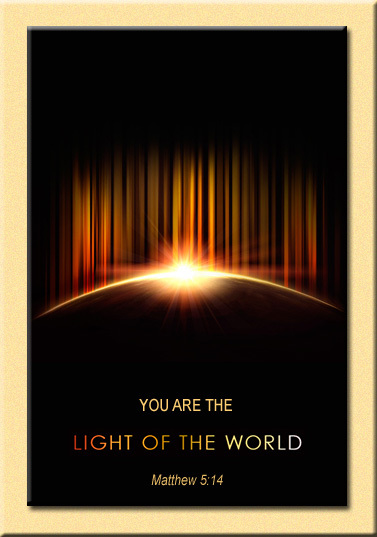 May our light so shine before men that all would see and know Your glory, that all would seek Your salvation. 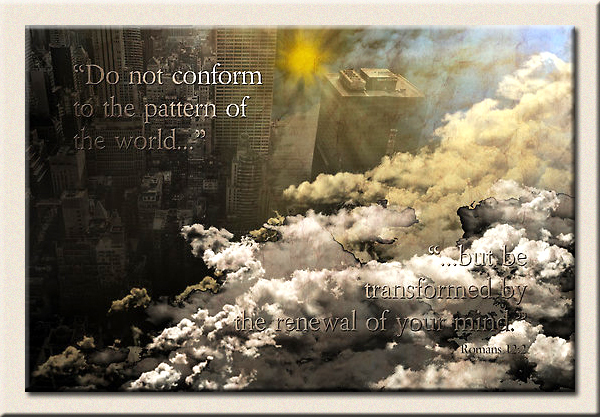 We will no longer allow the mandates of society or busy schedules to allow us to slip into a place of complacency. From this day forth, we choose to vote according to the commands found in Your Word. 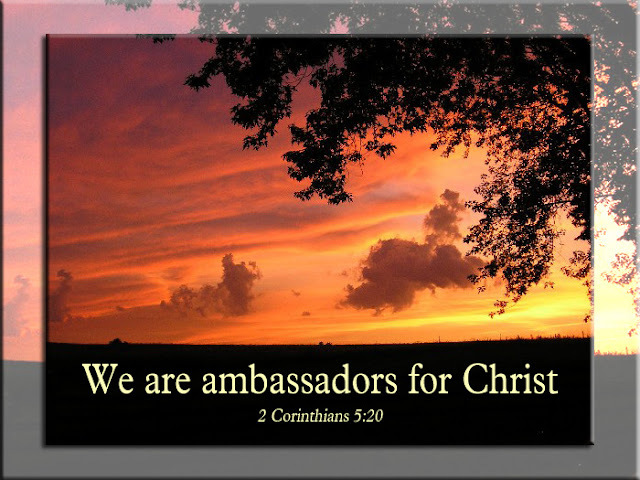 We are more than conquerors through Jesus Christ! Amen. Wait on the LORD, and keep His way, and He shall exalt you to inherit the land; when the wicked are cut off, you shall see it. I have seen the wicked in great power, and spreading himself like a native green tree, yet he passed away, and behold, he was no more; Indeed I sought him, but he could not be found. Father, may our hearts be filled with Your love and Your wisdom as we enter this election season. Though the enemy would like nothing better than to utterly destroy us as a nation, we ask that You begin to slay our enemies one by one. 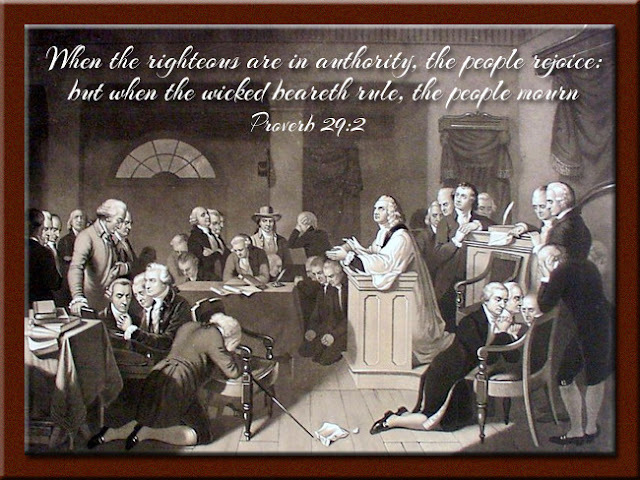 Give us courage and righteous indignation, to vote the principles found in Your Word. May we be bold in our stance, and obedient to Your commands. Thank You for the privilege of voting, a freedom we often take for granted. 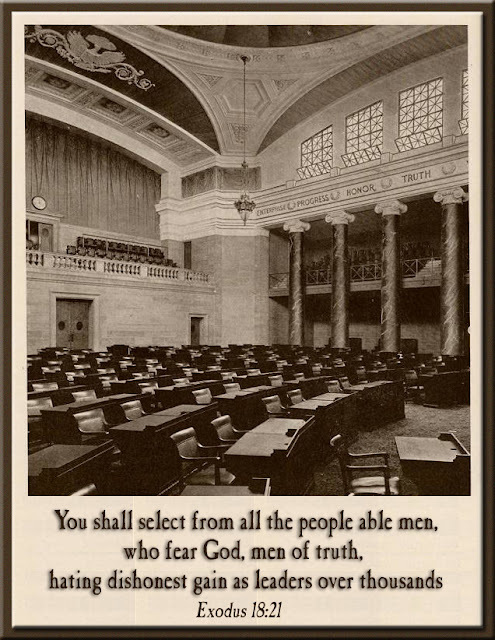 As we begin to vote into office those men and women who exalt You, may You alone be glorified. May we turn from our sinful ways as a nation and once again return to the protection of Your sheltering wing. In Jesus’ name, Amen. 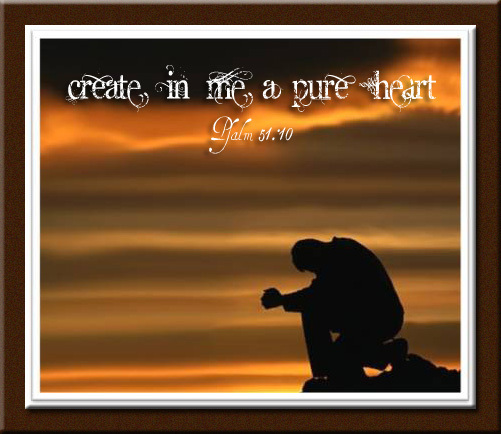 Jesus, You have indeed created all things and entrusted us with their care. As we have failed in our mission to preserve that which is right and good, others who do not know You have risen to power, perpetuating rules and regulations in the name of environmentalism, economics and social justice. These rules have stripped us of our freedoms. Forgive us for not being the good stewards You created us to be. Forgive us for an ungrateful spirit, often taking for granted the blessings You have so graciously bestowed upon us. We ask that You guide and direct us in Your pathways, as we begin to diligently seek Your will for our lives. May we begin to show You in a very real way, our deep appreciation for all You have given to us. In Jesus’ name, Amen. 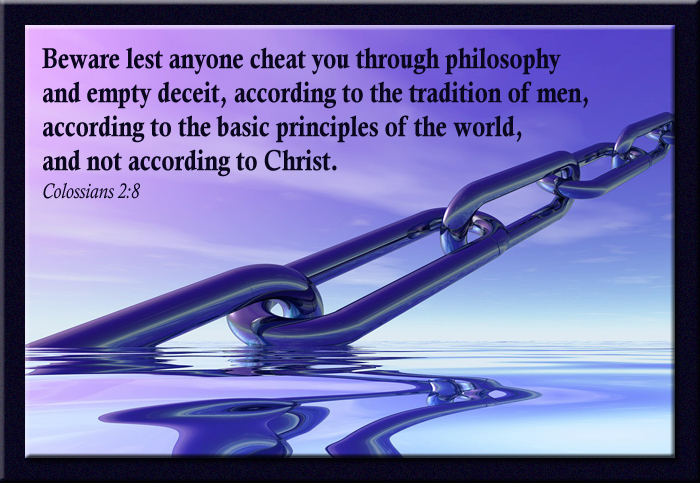 O Lord, we are guilty of allowing those who despise You to influence and threaten our very way of life. 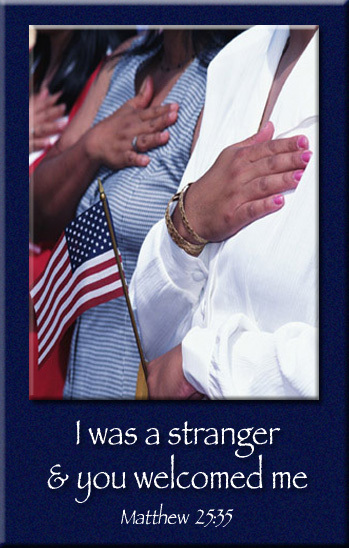 We started out as a nation aware of the dangers involved in granting citizenship to anyone not honoring You. Forgive us for foolishly abandoning our watch. We have been lax in ensuring that those entering our country share our Judeo-Christian values. This value system has afforded us Your mighty protection, provision and incomparable power…until now. 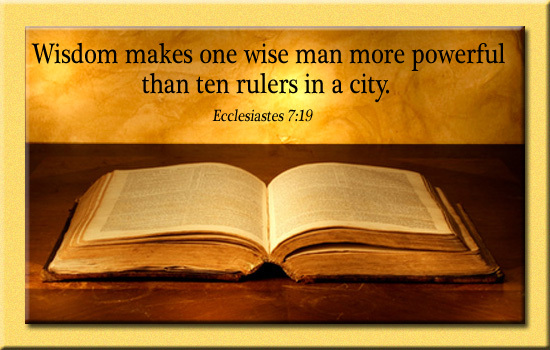 Lord, give our leaders the wisdom necessary to enforce the good laws already in place, and to reverse the foolish policies that have brought shame to our nation. Help us eliminate the dangerous philosophies that threaten us as Americans. We ask that You soften the hearts of those living in this country, by birth or immigration, that we may all enjoy the benefits of living in America. May we experience what made this nation great in the first place…You! In Jesus’ name, Amen. O generation, see the word of the LORD! Have I been a wilderness to Israel, or a land of darkness? Why do My people say, “We are lords, we will come no more to You”? Father God, we have left the beautiful splendor of your righteousness for the ugliness that comes from choosing our own foolish paths. Forgive us for not following Your Word, for not valuing human life. Forgive us for taking so much for granted. As a nation, we have seen unwanted pregnancies on the rise, even glorifying these young women on our television shows and through national media campaigns. 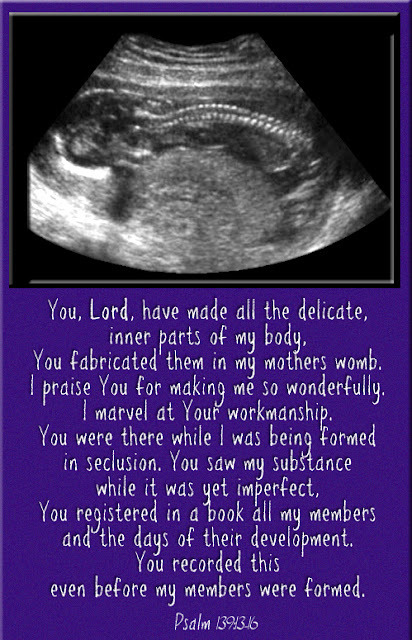 Instead of turning back to the Bible, we have glorified pregnancy out of wedlock. We have rationalized our poor choices and even shed the innocent blood of the womb. We blame these choices on convenience or science, but Your Word calls it murder. Israel did not escape Your judgment for killing innocent children and neither will we. For you are the same yesterday, today and forever. We ask Your forgiveness for killing the lives of untold millions. May we turn from our wicked ways and become a people who hide Your Word in our hearts, that we might not sin against You. Amen. …be encouraged, being knit together in love, and attaining to all riches of the full assurance of understanding, to the knowledge of the mystery of God, both of the Father and of Christ. In whom are hidden all the treasures of wisdom and knowledge. Father God, we have removed Your hallowed Name from the door posts of the very universities established to honor You. We have kicked You out of our elementary, middle and high schools and allowed idolatry to infiltrate the hallways that train our children. 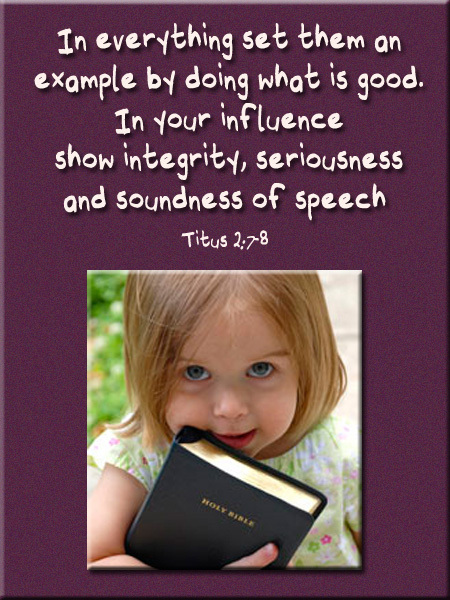 Your Word says to train up a child in the way he should go, and when he is old he will not depart from it. But we have left our first love and allowed wickedness to reign supreme in our school system. We have taken your Commandments off the walls. We have banned public prayer to you, but allowed other religions to pray to their own gods. We have completely disobeyed the command telling us to have no other gods before You. We ask for Your forgiveness, and that You have mercy upon our children. May they not inherit the blame for our foolish choices. Forgive us for locking You out of the school house, for taking Your Word out of our text books and instead allowing alternate learning to replace our Christian values. Forgive us for not standing up for what we know is the good and the right thing to do. Lord, turn our hearts back to the Bible, back to the Source of all knowledge and wisdom. May our children take on the minds of Christ. May they choose the path that is narrow, even in a world full of ridicule and hatred for Your followers. It is only through Your help that we have even the remote possibility of regaining our schools. We ask that You allow us the opportunity to once again place You first in our schools, that we may bring honor to Your name. Amen. 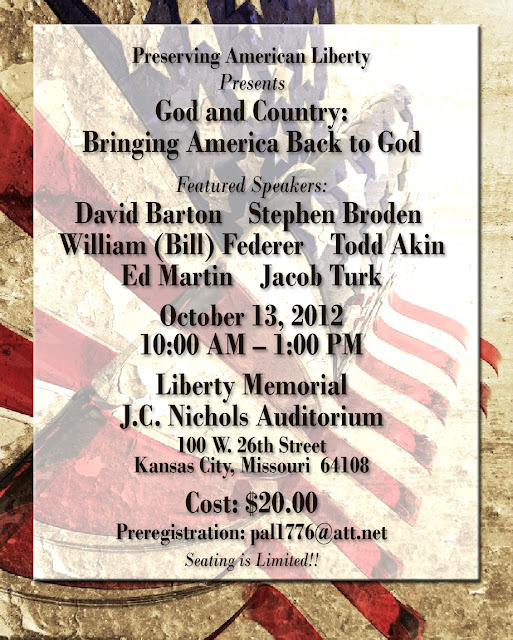 PRESERVING AMERICAN LIBERTY is sponsoring this event. Political Chips and Kansas City FreedomKeepers are cosponsoring the event. President of Preserving American Liberty, Karladine Graves, stated, "For too long in America the Judeo-Christian has remained silent. America was founded upon the principles and beliefs from the Judeo-Christian faith, yet within the last 40 years these principles have been pushed aside. It is as if they have not had nor have a place in who America is today." The God and Country rally will be featuring nationally known historian David Barton, Bill Federer, author, radio presenter of The American Minute and former evangelical pastor, Pastor Stephen Broden, Founder and Senior Pastor of Fair Park Bible Fellowship, president of the Fair Park Friendship Center in Dallas Texas, former adjunct profess at Dallas Baptist University, and founder of Ebony Berean's. In addition, citizens will have an opportunity to hear from three patriot statesmen that are committed to bringing America back to Her values which our Republic was founded upon. Todd Akin, Republican candidate for U.S. Senate, Ed Martin, Republican candidate for Missouri Attorney General, and Jacob Turk, Republican candidate for U.S. Congressmen. Tickets for the event cost: $20.00 for Adults and $10.00 for Students. Seating is limited, registration is advised before October 13, 2012. Registration can be made on line at www.PreservingAmericanLiberty.com or calling 816-225-7020 for more information. For they being ignorant of God’s righteousness, and seeking to establish their own righteousness, have not submitted to the righteousness of God. Lord, You are painfully aware of the mass confusion currently plaguing the House of Representatives and Senate at both the state and national levels. Today, we ask You to intervene on behalf of our citizens and convict the conscience of every man and woman holding a seat in our legislative government. May these elected officials move according to Your Word. Father, we thank You for the Godly men and women who are diligent in their service and who seek Your face before making life-changing decisions for our cities, states, and the nation as a whole. We ask that You bless the work of their hands and supernaturally protect them from all evil. May you multiply their good works and may Your light so shine before their colleagues, that those around them can only say, this congressman is blessed and highly favored of God. It is in Jesus’ name we ask and pray, Amen. 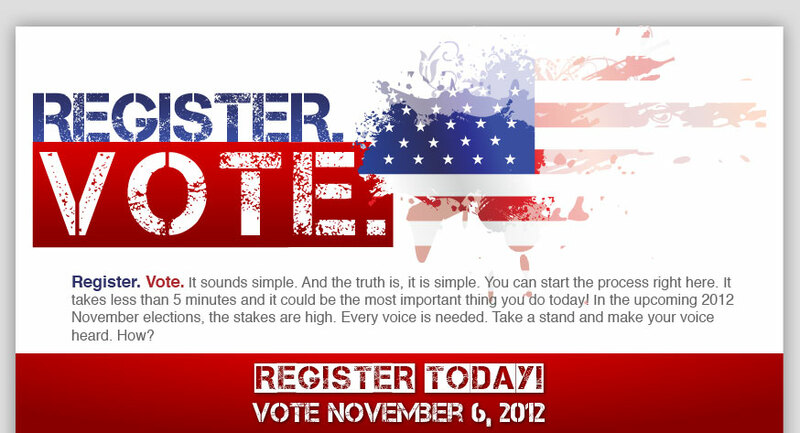 Please make sure your friends and family are registered. Go to the Macon County Courthouse for registration or more information.